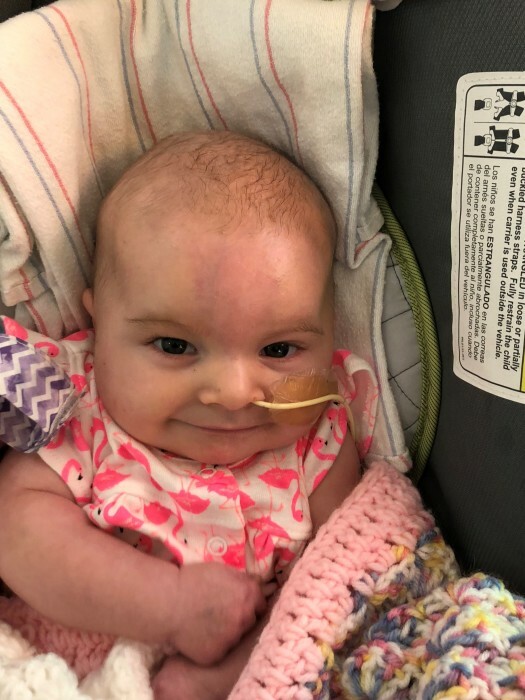 Hazel Grace Maslo, 7 months, of Downingtown, passed away on Friday, October 19, 2018 at the Children’s Hospital of Philadelphia. She was the daughter of Kara Christoph and Thomas Joseph Maslo, Jr. In addition to her parents, Hazel is survived by her sister, Mackenzie Christoph; maternal grandparents, Noel Nalevanko and Mark Christoph; paternal grandparents, Thomas and Lynn Maslo; three uncles and two aunts. She was predeceased by her brother, Thomas Joseph Maslo, III. Liturgy service will be held at 11:15 a.m., Tuesday, October 30, 2018 at St. Joseph Church, 338 Manor Avenue, Downingtown. A viewing will be held from 10:00-11:00 a.m. in the church. Interment will be held in St. Joseph Cemetery, Downingtown.